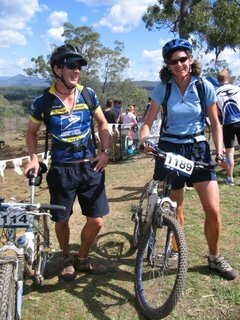 On Sunday 3rd of September the Flight Centre Classic (EPIC) took place over 110km of tough terrain from Preston Peak to Peppers Hidden Vale (near Laidley). 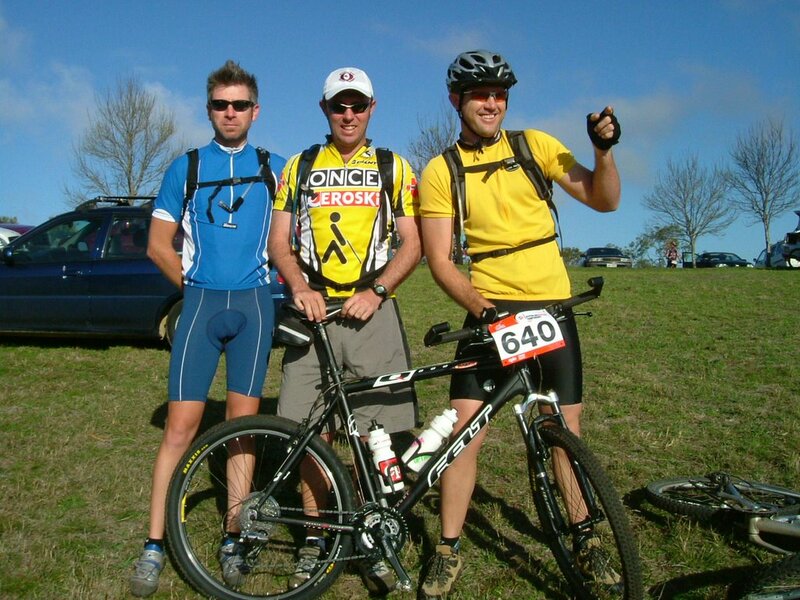 Tony Lloyd-Jones (2nd Epic), Greenie (2nd Epic) and virgin competitor Brady took to the course with gusto. 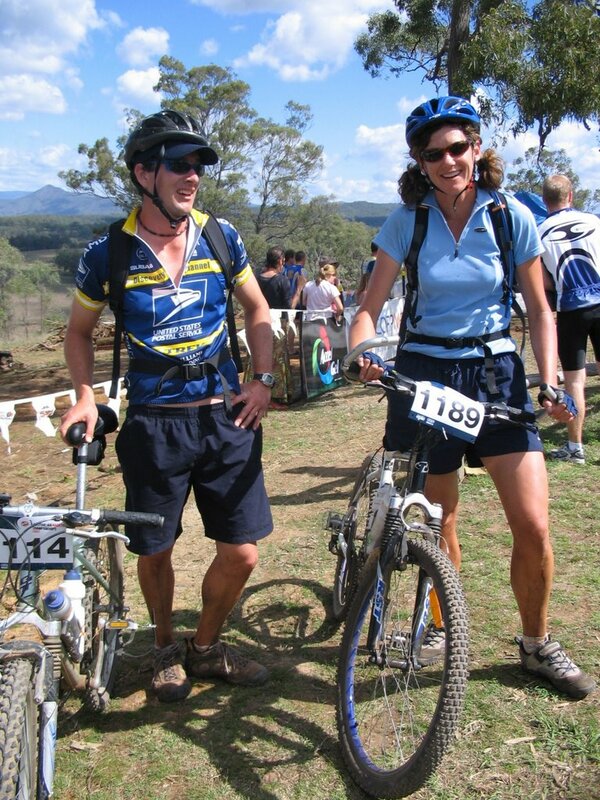 Anthony Walker and Bron competed in the PURE BLONDE PURSUIT, a 54km ride starting from checkpoint 2 on the main course. This was a first time for both these guys. Bron and Anthony had done extremely well finishing their Pursuit in 4 hours, Bron finished 7th in her catergory and Walker finished 28th in his. If only she didn’t stop for her picnic lunch, she would have placed much higher. Covered in dust and dirt and little bit of blood, they both looked good and ready to go again next year. 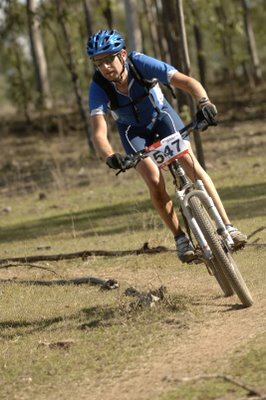 This race is also the Australian Marathon Mountain Bike Championships, a race that requires the winner to take over 4 hours to complete. 240 riders started out in their category. With 3 checkpoints along the way there is time for a quick rest and feed, stock up for the water bottles and a cold can of coke (or 2). Brady came through the checkpoint first in just on 3 hours, Tony about 20 minutes later and Greenie about 40 minutes after that. They had all restocked and refreshed pockets and water bottles and hit the road for the final 54km to Peppers. With support Crew Rachele and Bec waiting on the grassy knoll , we no sooner cracked open our first PURE BLONDE when Brady arrived in an unbelievable time of 5 hours 52 minutes to place him in 28th position overall, an incredible effort for his first ever EPIC. Tony was next in, in the a time of 6 hours 59 minutes (an hour up on last year) to place him in 128th spot, after a quick back crack he was ready to savour the moment… Greenie nearly had us sending out the search party but alas he arrived looking fresh as a daisy and in a time of 8 hours 21 minutes. 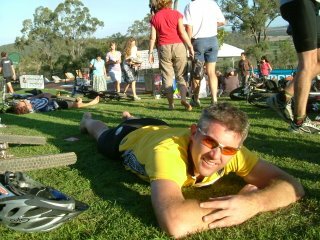 No easy feat with an ankle injury, but altogether a “SOLID” ride….